Microsoft Excel has been around a long time. When you think about spreadsheets, you think Excel. However, over time Excel has grown into so much more than a simple spreadsheet program. It is one of the most robust, useful and powerful tools for analyzing data that has ever been created. Excel is used by accountants, statisticians, engineers, economists, IT professionals and almost anyone who needs to record and analyze sets of data. 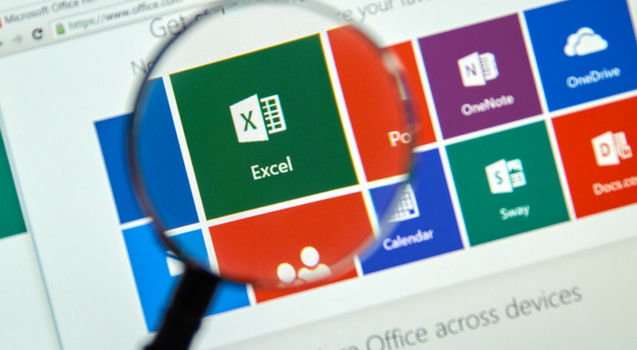 Microsoft Excel 2016 is the latest iteration of this great project so let’s take a look at some of the new analytics features included in this data analysis powerhouse. If you’re in need of a powerful general-purpose data tool, then Power Query is your ticket. You can connect to multiple data sources of different origins and import them all into one workbook. Then you have the tools to massage and manipulate that data any way you want. It is the perfect tool to use to prepare data for further analysis by a data modeling tool such as PowerPivot. The concept of pivot tables is by no means a new one. However, the tools that Excel Analytics gives you to manipulate pivot tables are. PowerPivot includes its own advanced data analysis expression building language (DAX) that can be used to create advanced formulas for transforming your data. You can define relationships between data tables using a new visual designer that lets you easily link shared columns between two tables and build useful data views. You can also create data hierarchies from those relationships that can be used anywhere in a workbook and within Power View. PowerPivot takes the data that you massaged and transformed in Power Query and then kicks it up a notch with advanced analysis tools. When you get the data imported and transformed with Power Query and then perform advanced analysis on it using PowerPivot, you are ready to bring in Power View to create powerful and informative data visualizations. Power View provides tools to create interactive graphs, charts, maps to create powerful and informative data visualizations. This allows you to squeeze every last meaningful result out of your data sets. When combined with the other data analytics tools available in Excel 2016, Power View becomes an advanced reporting tool that allows you to customize your presentation for any intended audience. You can quickly convey the results of your data gathering and analysis without forcing your audience to look at a bunch of numbers and try to decipher their meaning. Management can consume the information quickly and use it to make important data-driven decisions. Data analysis is important because it allows you to uncover hidden patterns, trends, relationships, correlations and insights from massive amounts of data gathered from multiple sources. By utilizing these tools, businesses can use the valuable information that is returned in order to realize potential opportunities that they might not have been privy to otherwise. This can lead to better decision making, higher profits, and a more satisfied customer base. This can also lead to the development of new products that more precisely address the needs of your customers. That can lead to increased revenue and profits because data analysis can help to cut costs and make your processes more efficient. Less overhead means more profit. Excel not only includes many useful tools itself, but it is also part of a larger suite of business tools such as Word and PowerPoint, just to name a few. It’s also one of the oldest and most powerful business tools on the market and is backed by the most powerful software house on the planet, Microsoft. Some focused tools might be better in their individual disciplines, but the power you gain from the entire suite of Microsoft tools working together is unmatched. Also, chances are if a Microsoft program isn’t the best tool for the job today, it will be tomorrow. Microsoft has a proven track record of catching up to and eclipsing rival technologies. By now you should be asking yourself, “How do I start leveraging the power of Excel Analytics?” Well, the best way to learn to wield these powerful tools is to obtain training through the robust classes offered by ONLC. Contact us today to see the extensive list of courses offered and take that next step towards mastering the power of technology.